Welcome to the UF Health Cancer Center. We are dedicated to providing the residents of Florida with leading-edge cancer care and conducting original research for the prevention, early diagnosis and treatment of cancer. Cancer is the leading cause of death for Floridians. Our state has the second highest cancer mortality rate in the nation, and the age group at the highest risk of developing cancer — 65 and older — is projected to grow by 25 percent over the next two decades. Therefore, our efforts to serve Florida with innovative research and leading cancer care have never been more critical. 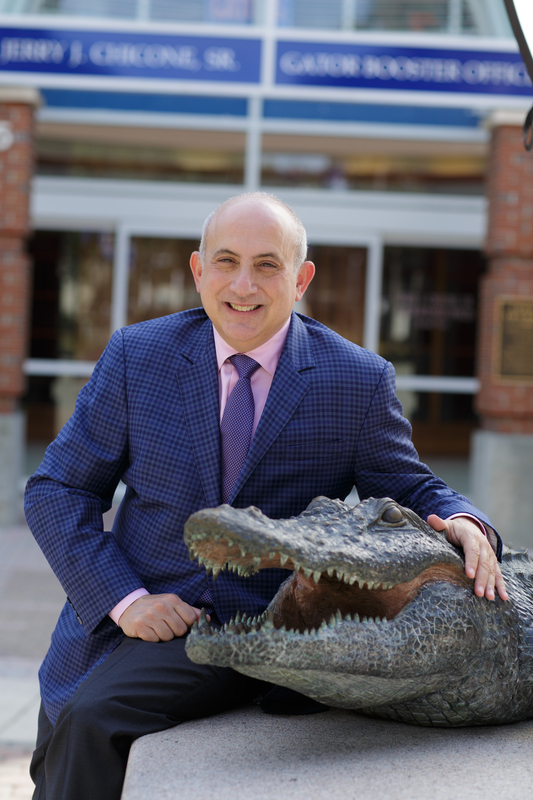 By leveraging all the resources of the University of Florida campus, the UF Health Cancer Center stands alone in the state in our unique ability to blend comprehensive patient care and innovative research in a collaborative, multidisciplinary environment. We participate in research that has a direct impact on improved patient outcomes, allowing patients access to the very latest cancer fighting technologies and drugs. Our clinical enterprise uses a comprehensive care model, with multidisciplinary cancer programs offering advanced treatment options such as minimally invasive and robotic surgery, proton and intensity-modulated radiotherapy, hematopoietic stem cell transplantation, chemotherapy, targeted therapy and immunotherapy in conjunction with the precision medicine, as well as access to clinical trials. Additionally our membership consists of more than 230 researchers, clinicians and educators throughout the University of Florida and UF Health, the Southeast’s most comprehensive academic health center — boasting six health colleges, nine research institutes/centers, two teaching hospitals, two specialty hospitals and a host of medical practices and outpatient services across north central and northeast Florida. This multidisciplinary membership allows for exciting collaborations and encourages the translation of basic laboratory findings to novel curative and preventive therapies. At this unique intersection of research, education and treatment, the UF Health Cancer Center strives to find tomorrow’s answers for today’s patients. Our mission is to prevent, detect, treat and ultimately cure cancer while addressing the unique challenges of the cancer burden faced by the population we serve. Our vision is to lead nationally in elucidating novel insights into cancer biology and developing creative prevention and treatment strategies, while providing outstanding care that serves our rural and diverse population.